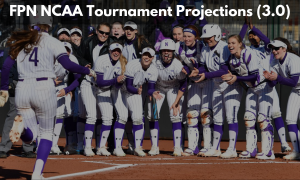 The DI College Softball teams are well into their conference play all across the country. Below are five things that stood out to us at FPN, that you may have missed from Friday’s play. No. 7 Florida took the first game of the series, 3-1, over No. 11 South Carolina at Katie Seashole Pressly Stadium. The Gators (35-7, 10-3 SEC) scored in the first inning for the 28th time of the season. Florida struck for another run in the second to extend the lead to 2-0 over South Carolina (34-8, 8-5 SEC). Nicole DeWitt crushed her ninth home run of the season in the third to give the Gators their third run. 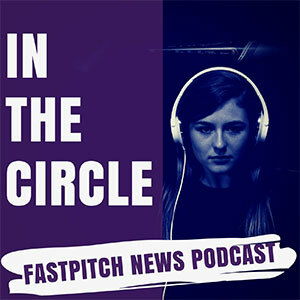 Kelly Barnhill earned the win in the circle for the Gators. 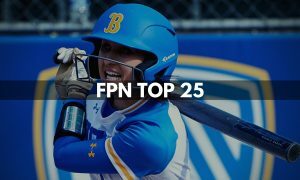 Barnhill had a no-hitter and shutout going into the seventh inning that was broken up by Tiara Duffy’s home run. 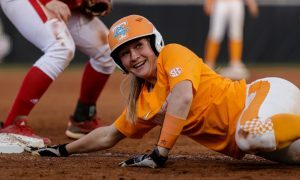 The two teams return to Katie Seashole Pressly Stadium Saturday to wrap up the series with a doubleheader slated to start at noon. No. 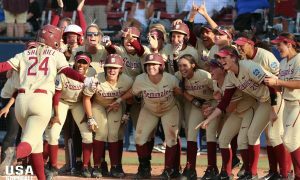 9 Florida State fell to Boston College 1-0 in game one, before posting a come-from-behind 5-4 win in game two on Friday. In game one, Boston College scored the only run of the game with an unearned run in the bottom of the fourth on a pair of Seminole errors. 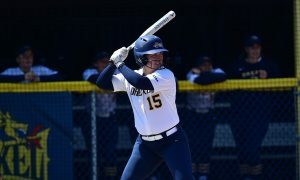 Meghan King (13-5) took the loss, despite setting a season high with nine strikeouts in the game. 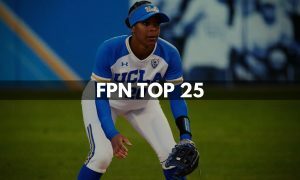 She allowed just four hits and one walk over 6.0 innings, with one unearned run. In game two, Boston College tallied seven hits, including three doubles and a home run in the first two innings to take a quick 4-0 lead. Florida State answered back and scored five runs in the top of the sixth to take a 5-4 lead, and that is where the score remained. 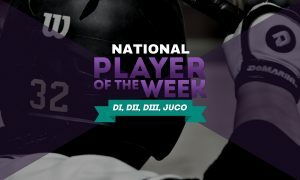 The Seminoles and Eagles will wrap up their series on Saturday, April 14 with a single game at 2:30 p.m.
Senior shortstop Megan Gregg hit a solo home run over the left-field wall in the first inning to become Tennessee’s all-time home run leader at 52, passing former Lady Vols great Tonya Callahan Friday night in a 4-2 win over LSU at Sherri Parker Lee Stadium. With the win, No. 16 Tennessee improves to 35-6 overall and 6-7 in SEC play. No 12 LSU fell to 32-8 and 7-5 SEC. Caylan Arnold (16-4) picked up her 16th win of the season, going 6.1 innings and picking up six strikeouts. 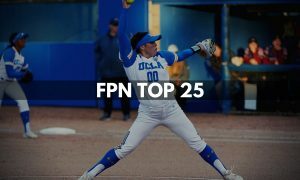 Matty Moss got her fifth save of the season, allowing just one hit in the win. The Lady Vols take on the Tigers for Game two of the series on Saturday at 1 p.m. The No. 8 Texas A&M softball team defeated the No. 23 Kentucky Wildcats, 9-2, in the series opener Friday evening at the Aggie Softball complex. Aggie starting pitcher Trinity Harrington earned her 11th win of the season, throwing six innings and allowing two runs and six hits while striking out two. Payton McBride came in for relief, throwing a scoreless seventh frame, allowing two hits and a walk while striking out one. Offensively, the Aggies (35-9, 8-5 SEC) out hit the Wildcats (25-12, 3-9 SEC), 11-8, and were led by Ashley Walters and Tori Vidales, who each had three hits apiece. The top four hitters of the Aggies lineup accounted for seven of the nine RBI and nine of the 11 hits in the game. The No. 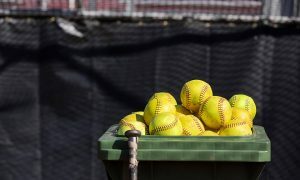 24 Oklahoma State softball team swept a doubleheader against No. 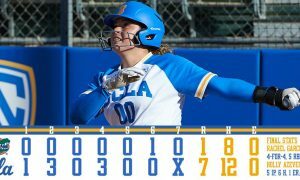 20 Baylor on Friday at Cowgirl Stadium, walking-off the Lady Bears with a 14-6 run-rule victory and a 2-1 come-from-behind win. Oklahoma State moves to 31-12 on the season, 9-2 in Big 12 play. 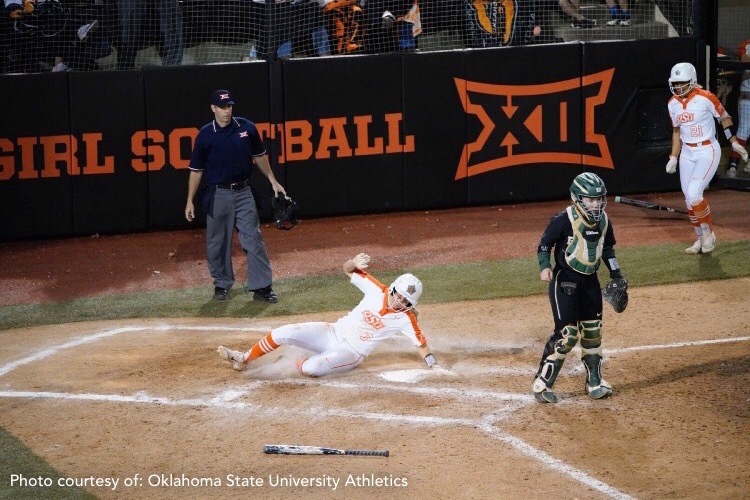 Oklahoma State’s series-opening win marked the 100th victory for Gajewski as head coach of the Cowgirls. The walk-off shot in game one hit by Jessi Haffner, was the 54th home run of the season hit by Oklahoma State, marking a new team single-season home run record. OSU’s previous record of 53 home runs came in 2016, during head coach Kenny Gajewksi’s first season in charge of the program. OSU and Baylor will look to wrap up the weekend series Saturday afternoon at 4 p.m.